Suneel Chilukuri, MD « Cosmetic Surgery Forum – Practical. Honest. Insightful. 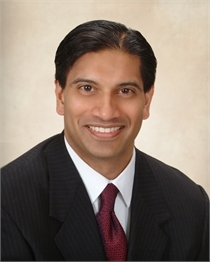 Dr. Suneel Chilukuri is an internationally recognized cosmetic dermatologic surgeon specializing in the C-Lift, a non-surgical facelift technique. He is known for creating innovative techniques to fully restore and enhance the face and body without surgery. Most recently he received a national award for Nonsurgical Body Contouring utilizing his signature Silhouette Body Procedure. As a sought after speaker at both international and national conferences regarding cosmetic surgery, he has taught at more than 200 aesthetic seminars. He has served as a volunteer clinical professor for cosmetic, surgical, and reconstructive surgery at renowned academic institutions including Yale University School of Medicine, Columbia University College of Physicians and Surgeons, Baylor College of Medicine, and Albert Einstein Medical College. He is the current President for the Dermatologic Aesthetic Surgery International League (DASIL) and on the Board of Directors for the Blade and Light Society. He has also served as the President of the Houston Dermatologic Society and is on the Board of Directors for Harris County Medical Society. In addition to founding and overseeing Refresh Dermatology in Houston, Dr. Chilukuri has taught over 10,000 plastic surgeons, facial plastic surgeons, oculoplastic surgeons, and dermatologists dvanced techniques in aesthetic surgery. He is a national trainer for numerous aesthetic companies including Allergan Cosmetics, Galderma Cosmetics, Suneva Cosmetics, Cynosure Lasers, BTL Aesthetics, Theraclear Lasers, Skin Medica, and PCA Skin. He continues to work with several of these aesthetic companies to test and develop new products and technologies that are then approved by the FDA and used by aesthetic physicians.